A "Brexit" exit sign, David Cameron with a shredded face, a locked ballot box... 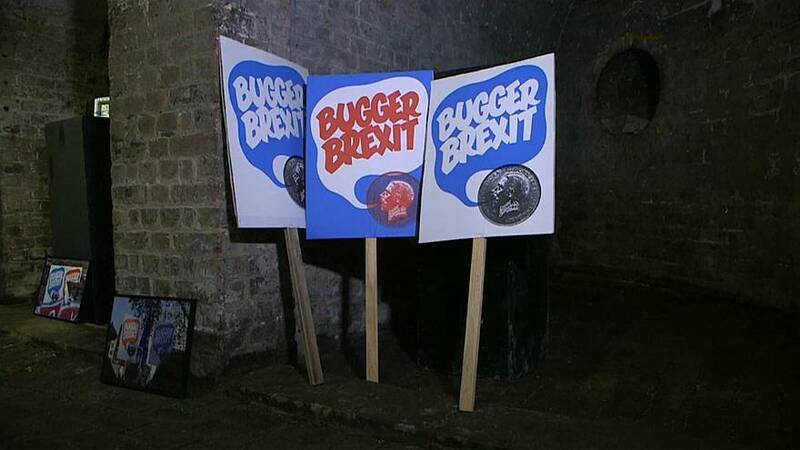 The "Take Back Control" exhibition is already making art of out Brexit at the Guts Gallery near King's Cross in London. Newspapers from the 2016 vote may seem like relics, but the subject still dominates headlines today. The curator wanted the visitors to be able to flick through newspapers published during the Brexit campaign "to reflect on what's happening now through what happened then".